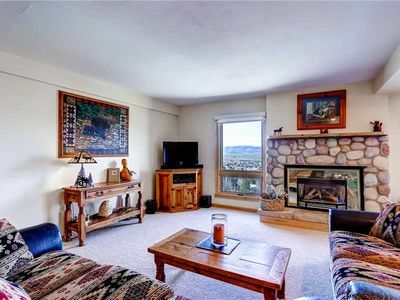 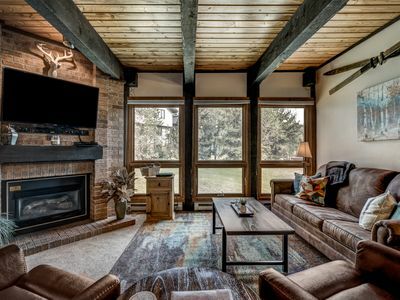 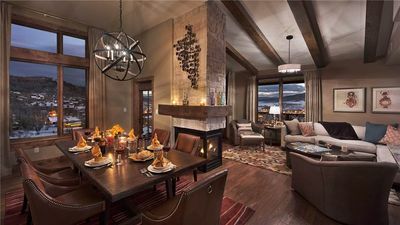 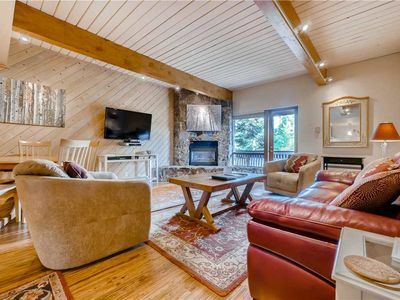 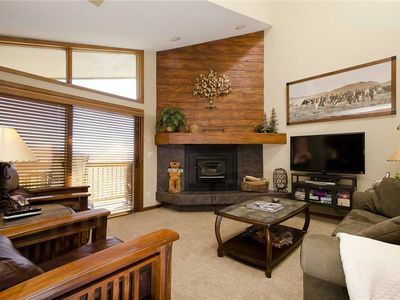 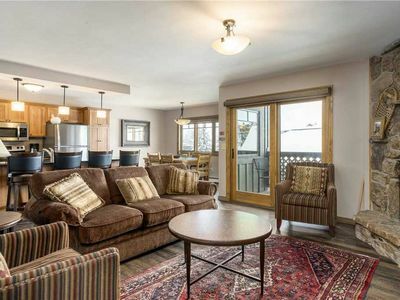 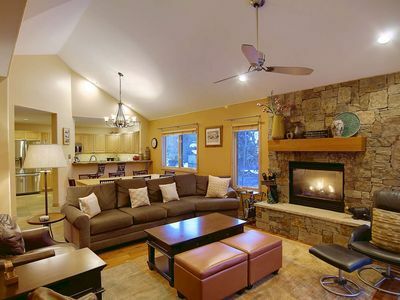 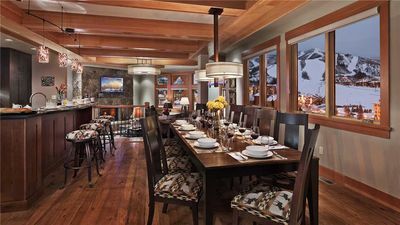 Situated across the road from the Steamboat Ski Area and within walking distance of an array of shops and restaurants, this updated 2BR/3BA condo boasts a prime location. 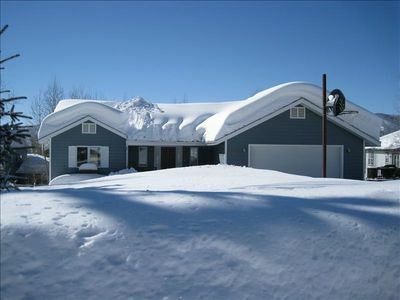 You’ll also have on-site access to a private shuttle service in the winter. 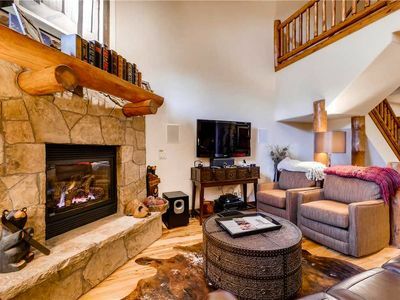 Spanning two levels, your rental offers an inviting floor plan with modern mountain decor and hardwood flooring. 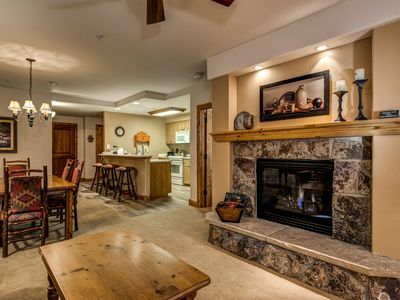 Central heating and an AC unit promise a comfortable stay, while a private heated garage is great for storing ski gear and bikes. 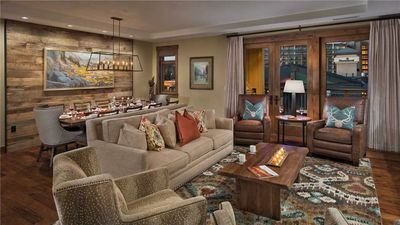 Serving as the social hub of the home, the second-floor living area offers comfy seating with a plush queen sleeper sofa and two armchairs. 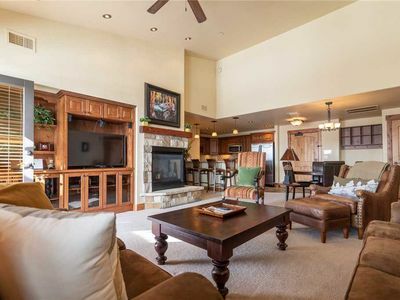 Glass doors lead to the private balcony and flood the room with natural light, while a 60" TV provides entertainment. 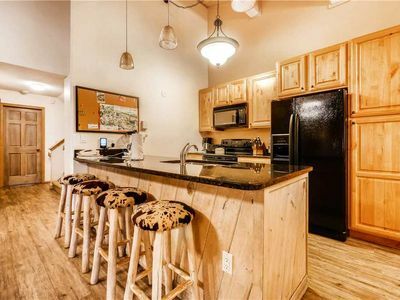 Sharpen your culinary skills in the well-appointed kitchen with stainless steel appliances and granite countertops. 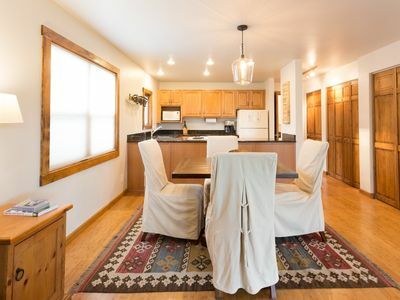 Serve up your tasty dishes at the handcrafted maple dining table set for six, then top off your meal with a cup of coffee at the breakfast bar for four. 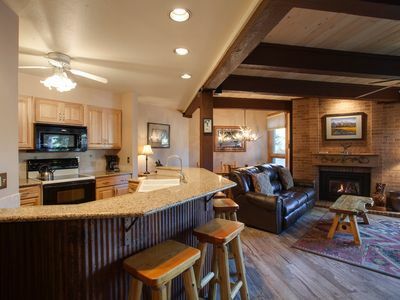 In the master, you’ll find a king bed, a 47” TV, and an en-suite bathroom with a tub/shower combination. 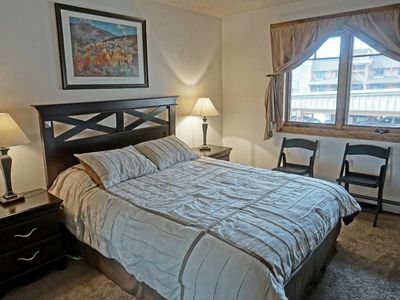 The guest bedroom offers a queen-over-queen bunk bed and a twin-over-twin bunk bed. 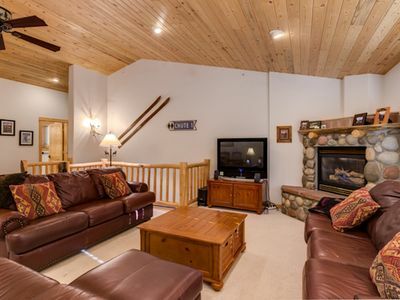 This room also has a 37” TV and an en-suite bathroom with a tub/shower combination. 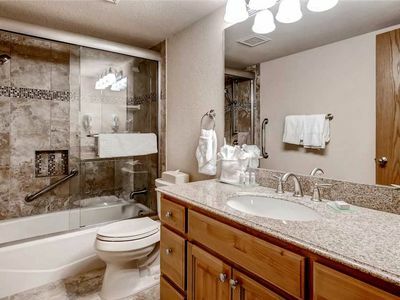 Providing added convenience, a third bathroom with a tub/shower combination is located on the second floor. 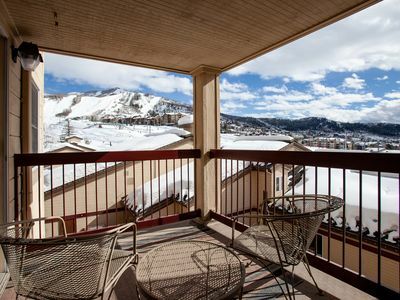 After a fun-filled day on the mountain, step outside to the private balcony and enjoy a crisp drink amid the fresh mountain air. 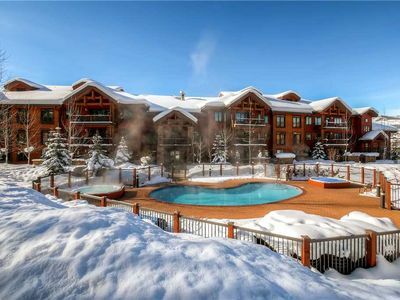 Or make your way to the shared heated pool and hot tubs for an invigorating dip.